The ContinuuMini will be available for purchase Summer 2019! 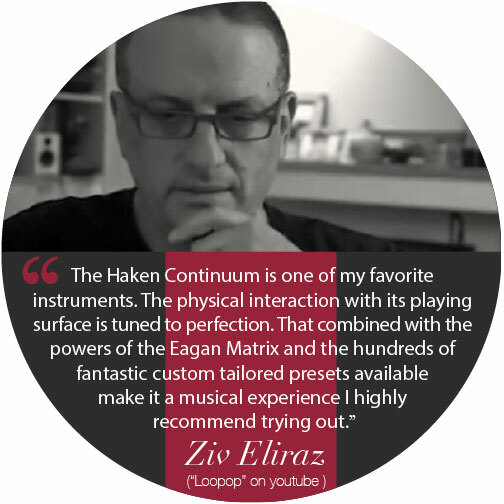 The Haken Continuum Fingerboard is an instrument that was born to be as expressive and as rewarding to play as an acoustic instrument. The uniquely designed sensitive and expressive playing surface has been symbiotically merged with its powerful synthesis sound engine to produce a truly unique playing experience. 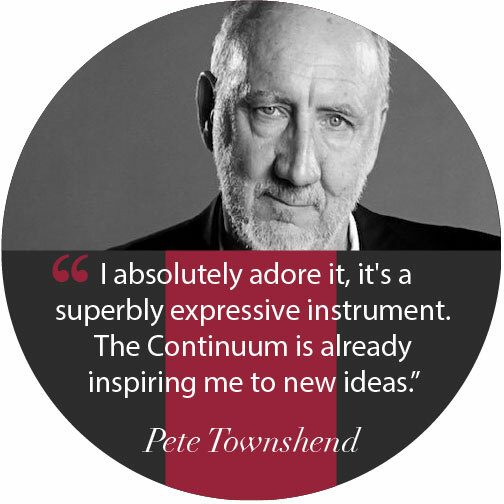 The Continuum is a holistic electronic instrument that puts its player at the heart of a uniquely fluent, gestural and intuitive musical playing experience. The Continuum Fingerboard can give you that edge you are looking for in sound, expression and creativity. 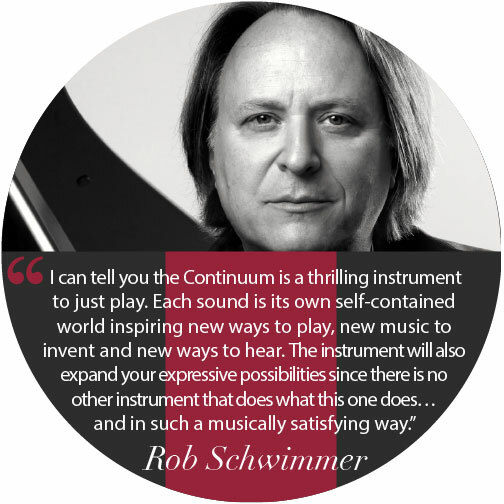 We do not say it will be immediate, although the continuum sounds great and is fun and accessible when you first start playing, it truly shines when you treat the learning curve like a traditional acoustic instrument. Practising technique and taking time to build a relationship and understand the Continuum will reward you with amazing performances. The more time you put in, the more the Continuum will give you back. 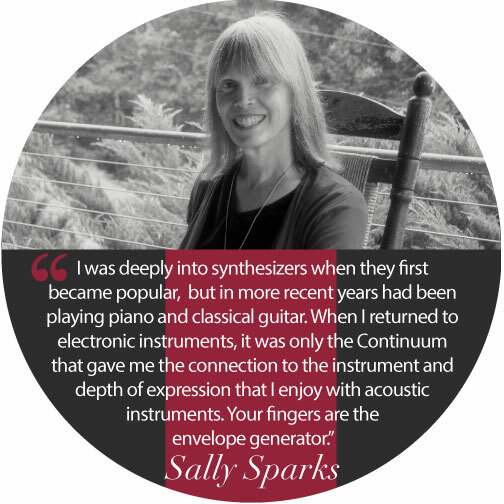 This is what truly makes it a different experience to a traditional synthesiser. Designed and hand-built by Dr. Lippold Haken, each Continuum Fingerboard is meticulously constructed by hand for optimal quality and longevity. This again is where Haken Audio separates itself from large electronic music manufacturers. Haken Audio looks upon itself like a handbuilt guitar manufacturer would. Building small numbers and carefully crafting the instrument with love and attention to detail is the ethos of Dr. Lippold Haken. The Continuum is available in full-size (nearly 8 octaves) and half-size (nearly 4 octaves) versions. 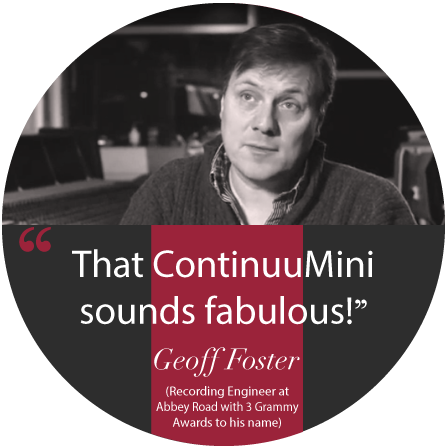 With the soon-to-be-released ContinuuMinis, which will give Continuum fans a smaller instrument with a lower price of entry into the Continuum Fingerboard family. The New Boy on the Block! More information on the ContinuuMini here! The video footage for our website header was kindly donated by Loopop, see his fantastic youtube channel here. Designed by Dr. Lippold Haken and manufactured by Haken Audio, the Continuum Fingerboard is a musical instrument that allows unprecedented real-time performance control. 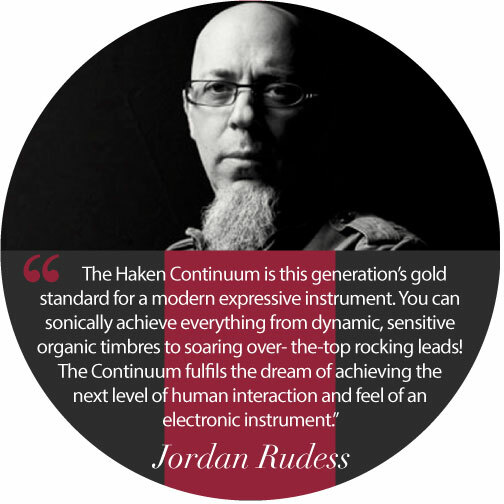 With a greater pitch range than a traditional 88 note Midi keyboard, the Continuum offers realtime continuous control in three dimensions for every finger that is placed on the playing surface. This communicates an immense amount of information to its custom-designed user programmable synthesizer. 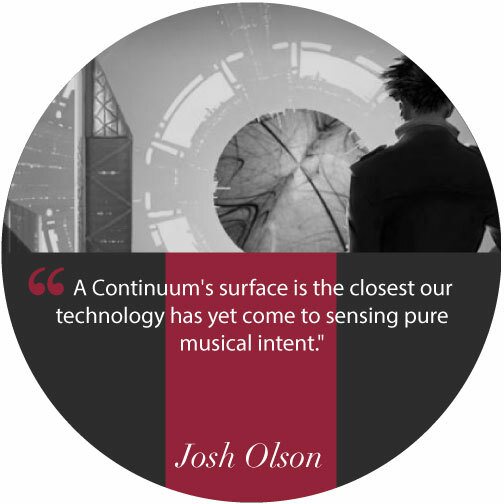 Specifically programmed to take advantage of the subtle, dramatic and expressive musical possibilities of the Continuum's surface. 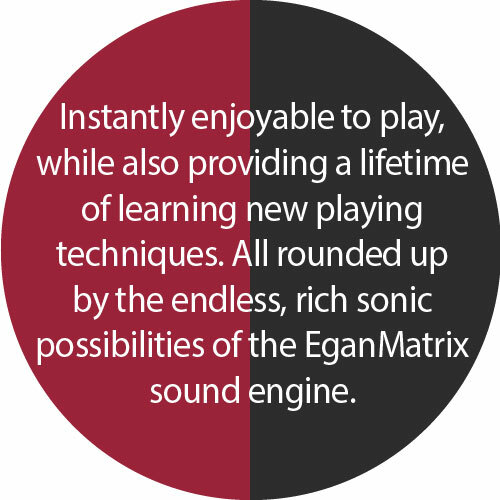 At the heart of the instrument is the truly innovative sound engine of The EaganMatrix! This synthesizer was invented by Edmund Eagan, and was specifically designed to take advantage of the subtle and dramatic expressive musical possibilities of the Continuum’s surface. 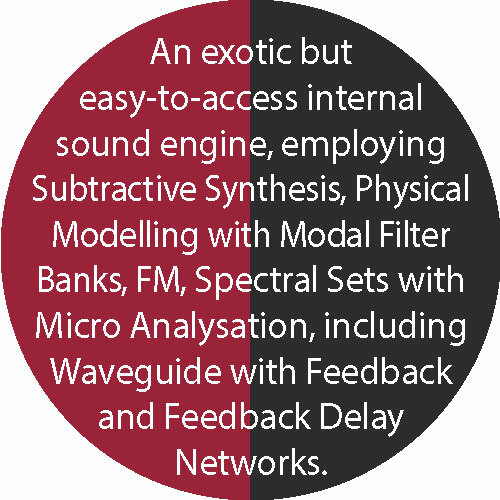 The EaganMatrix is a modular digital synthesizer, allowing the user to finely craft their musical sound by digitally connecting audio and control modules via a patching matrix. The EaganMatrix synthesizer is internal to the Continuum Fingerboard, utilizing the Continuum's internal DSP engine. No external hardware is required as both playing surface and sound engine are intertwined as one musical instrument. The synthesizer is edited by using the 'Continuum Editor', an external cross-platform editing program that allows you to explore all the possibilities of a fully modular, patchable synthesis engine, with all the screen real-estate of your computer. 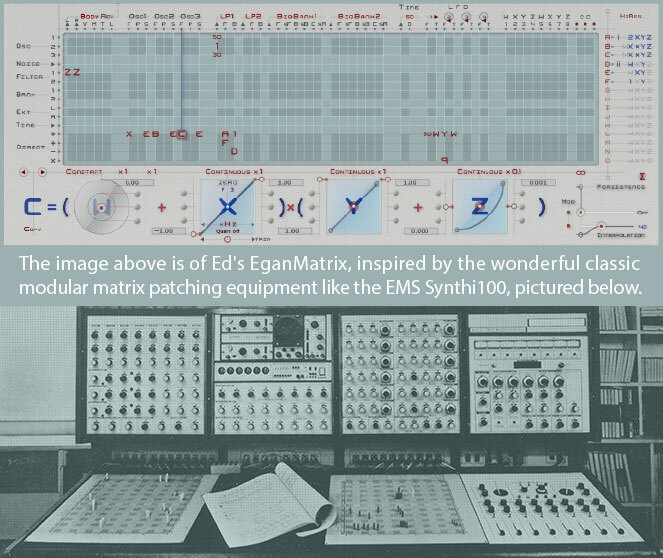 The EaganMatrix is inspired by classical modular matrix patching synthesizers such as the ARP 2500 and the EMS Synthi 100. However, unlike those analogue predecessors, the EaganMatrix doesn't use pins to make patch point connections. Instead, a dynamic formulaic equation can be placed inside a selected patch point, replacing that static pin, creating a simple to amazingly complex relationship between the Continuum playing surface and the flow of sound from patch point source to destination. Each three-dimensional movement of your finger on the playing surface can influence the final result of every single patch point! And there are many, many patch points! This relatively simple concept is a very powerful one. It harnesses the amazing performance response of the Continuum Fingerboard, so that the performer can create nuanced, expressive, dynamic, and totally custom sounds. More information on the EaganMatrix here. Much More Than a Touch Sensitive MPE Surface! 1- When played, the Continuum has the ability to evaluate a high-speed stream of performance data, and among other things can effectively encode the complex trajectory of your finger attack. 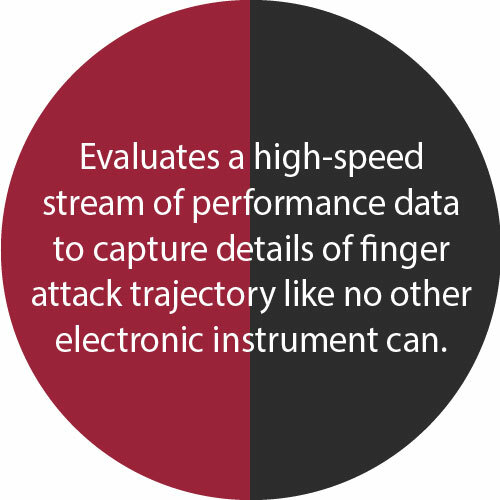 From a psychoacoustic perspective, getting the attack trajectory of your finger accurately scanned, measured and conveyed comprehensively to the sound engine is an essential ingredient for a real-time expressive playing experience. 2- The Continuum completes a scan of its entire playing surface every 330 microseconds. This surface evaluation speed is crucial for smooth, uninterrupted, gestural playing. 3- The Continuum has pressure resolution of up to 15 bits for long sustained notes, allowing the detailed expression of tiny pressure-related timbre changes and accurate pitch trajectories in pressure-weighted portamentos. All these unique technologies within the Continuum will give you an unparalleled playing experience, one which no other electronic music device on the market can match. For Midi communication to external devices, the Continuum can output MPE and MPE+, and can also be connected for control voltage output. However, we are not just another Midi MPE company. We are more than that, we are an instrument maker that crafts the closest thing to an acoustical experience in an electronic music device. This is achieved by using high-grade mechanical components, high-level sensing technologies and meticulous construction methodology, bringing the Continuum's playing surface, sound DSP and software together in a synergistic collaboration that no other electronic musical device can yet achieve.